Blog > Free Tutorial > Learn to Crochet with The Crochet Project CAL! 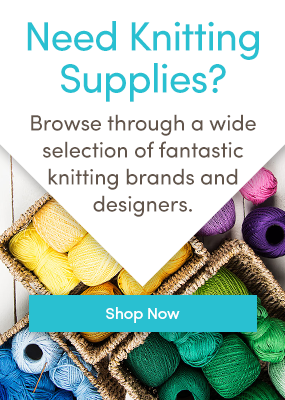 Learn a new craft this year to complement your knitting! Join our crochet-along with the The Crochet Project! Hi we are Kat and Joanne of The Crochet Project and we’d love to help you learn to crochet. If you prefer to learn from a step-by-step tutorial then you can buy the book in print here. Join the chatter, get help and share your thrills and frustrations over in our Facebook group for the CAL. Get yourself signed up ready for the crochet-along to start in earnest on 8th January 2018! 16 Responses to Learn to Crochet with The Crochet Project CAL! I would love to be able to follow a pattern. I also want to refresh my memory as I haven’t crocheted in decades after going to the dark side ( knitting😉) and I was looking for exactly this type of learn along tutorial blog. Since I was self-taught, I know that there were quite a few things that I didn’t learn along the way. Sounds great but what about us lefthanded crocheters? We are always left out. So as much as I would like to learn more about the art of crocheting no thanks! Did not know the stitches are different in UK than USA which explains a pattern from UK I tried to do that did not look right. I have taught a few left handed crochet beginners by going from left to right instead of the usual right handed way of right to left. Stitches are performed the same as right handed, pattern followed the same. For right handed teachers it will take a little more concentration to refocus your mind another direction. I’m looking for amazing patterns. I’m always crocheting but find interesting patterns few and far between! I have struggled to learn to crochet and am looking forward to following the tutorials. It’s especially encouraging to think I could have a useful accessory to wear. I’m in 🤓I can crochet. Started last April but I can always improve. I found these videos easy to follow, really clear. Thanks so much! I have numerous crochet patterns which I am not confident to do.. Can do the basics of crochet, keen to do this and learn how to follow a pattern.